ensuite bedrooms with linen provided . New fireplace recently installed to make your classic novel reading all the more enjoyable. Breakfast provisions in the kitchen, and. we're only a phone call away over the road at our cafe and we're really happy to run meals over for you. Bikes included; 2 x classic cruiser cycles included for you to check out the cafes and wineries. 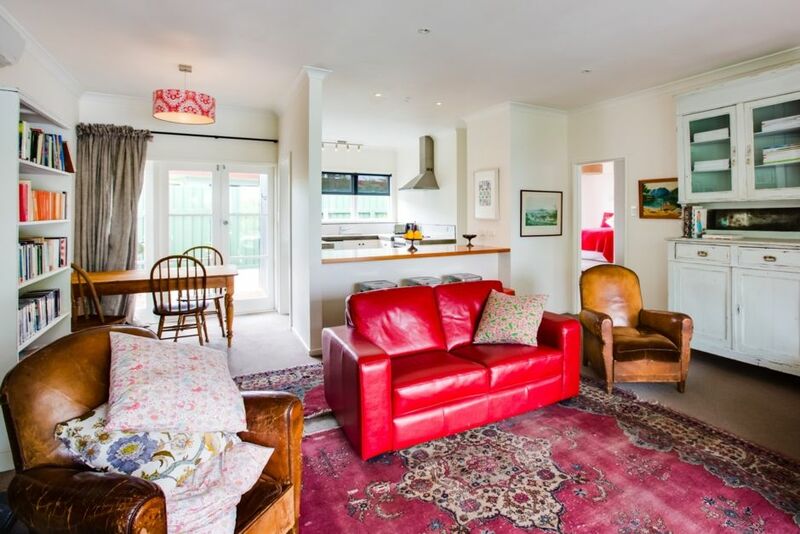 Stay in the heart of Havelock North Village and use the house as your base to tour wineries, beaches, cafes and local shops. We run it like a hotel - just ring us over the road at the cafe and we can help with anything you need. we would be really happy to prepare an itinerary for you - whether you want to visit wineries - beaches - or art galleries. Very good, could be great. Great location. Front bedroom would be better with drapes that kept the light out at night. New fridge is much better. Great that we were able to use our sky decoder. A couple of light bulbs need replacing. Jane gave us good rate for a longer stay so we will be back. Fantastic property with lovely bedrooms, easy access to great restaurants - such as Pipis across the road! The perfect place to stay when in the Hawkes Bay. We will definitely stay again. Pipi Hotel was just perfect for Christmas. We really appreciated the the Christmas Tree with lights, the lovely welcome food pack and the warm home-like feel of the property with an excellent library of books and DVDs. We appreciated the change in bedding and towels half way through our stay. The location was ideal to the village centre and everything needed is within walking distance. We would recommend Pipi Hotel and would retrun ourselves as it had everything we needed. Wonderfully close to Havelock shops, we had Pipi delivered one night and dined in the next - amazing!! Highly recommend to anyone looking for comfortable close accommodation to Havelock North. Great location, generous and welcoming hospitality and very handy having the Pipi cafe across the road. The house accommodated the needs of four adults and one child easily, comfortable and easy care with a nice shabby chic feel. Thank you, would definitely stay again. Wonderful 2 night stay in this delightful little place. Wonderful 2 night stay in this delightful little place. Jane was helpful and prompt in terms of communication. Would definitely recommend Pipi!